Muscat, Oman’s capital gives a good taste of what to expect. Off white houses nestled amid impressive volcanic mountains it’s due to keep you wanting for more. The country’s leader Sultan Qaboos has made a tremendous job in promoting development, investing in new construction and large infrastructure while maintaining the traditional Omani Bedouin spirit. In exploring the city you immediately realise that the Sultan had a grand plan when redesigning the city. A key landmark is the famous Sultan Qaboos Grand Mosque with its gorgeous gardens. Wander around and don’t miss out on the main building its its huge chandelier. The contrast with the gorgeous rugs and collection of Qurans will take your breath away, especially when you imagine that over 20,000 people come to pray there on Friday. Another landmark worth your time is the Royal Opera House. I was very surprised to find out that some of the world’s most famous cantators come to perform in Oman. But if like me you wanted to know more about Oman’s culture, head to the Bait Al Zubair Museum. A four-house complex which exhibits everything from household items to Omani modern art and gives a good overview of Oman’s past and future. From there you’re not too far from the Palace and the neighborhood of Muttrah which are both worth a detour. Drive along the coast, past luscious gardens to get to the old port. Explore the souk, where you can buy traditional textiles, famous frankincense or traditional Omani hats for men or walk along the corniche to the fish market. Grab a table at Fishers Grilled, ask for the waiter to grill whatever fish is fresh for the market and enjoy a very local experience. Omani food is very simple - mainly rice and fish or meat. Some of the flavours feel South Asia or African - that’s normal, there’s a large South Asian population in Oman, not to mention that once upon a time Zanzibar was an Omani colony! Head to Bin Ateeq for the real experience. Sitting on the floor in separate rooms. Try the shrimp biryani with its fresh tomato salsa, it’s delicious. But Muscat can be discovered in a couple of days. The real magic happens a couple of hours from the capital. For beach lovers, the Omani coastline will make you happy. Book a snorkeling tour to the Damanyat islands. Swimming with multicoloured fish and sea turtles is a truly magical experience. I spent a minute making eye-contact with one; I have to admit, I felt like the turtle whisperer! Chilling by the beach with a book is also a good option. Head to Al Sifah, 50 minutes from Oman, to have a whole fine white sandy beach to yourself. Occasionally, fishermen may come to say hello and interrupt your reading/tanning mojo. For the intrepid nature lovers (and me) Oman is also a fabulous destination. I had the most scary/surreal experience walking through the Balcony Walk with an amazing view of Oman’s Grand Canyon, going from fearing from my life to pride that I overcame my vertigo. Wadi Bani Awf and its canyons and hidden oasis villages is also worth a detour. The elevation is amazing and the scenery changes at every turn. Once you get to the rich Jabal Akdhar plateau don’t miss out on the abandoned village of Wadi Bani Habib and the picturesque village of Al Ayn, where the famous Omani rosewater is manufactured. On our way back from Jabal Akdhar we made the detour through Wadi Bani Kharus and Wakan. A little village perched on the side of a mountain. A green oasis, where you can climb through gardens of apricot and pomegranate trees, palm trees, vines and flowers. Sunset in Wakan surrounded by mountains on fire from the setting sun should be on your bucket list. Another thing Oman is famous for is its forts. Drive to Nizwa and Nakhal to discover how people lived centuries ago. The majority of large forts are well preserved but look out for small round towers interspersed across the country - they bring a very nostalgic feeling. Oman stole my heart. As I was boarding my plane at the brand new glitzy Muscat airport I made a promise to be back; to hang out with my turtle friends, pretend to be a mountain goat in the wadis, and perhaps this time explore the south of the country after the August monsoon, in the Salalah region, where the frankincense trees grow. Apply for your visa online - no hassle, and it’ll be in your inbox just a few hours later. If you hit the mountains, you’ll be off the grid. Make sure to download a map of the country. It’ll come handy when you’re off roading. Best to visit in the spring, so as to avoid the summer heat. 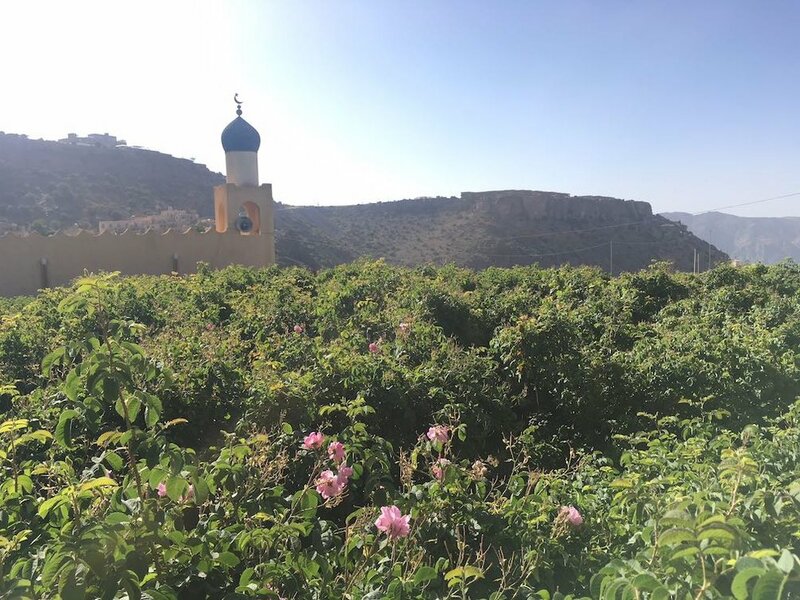 March to May is when the famous Damask roses blossom in Jabal Akdhar (the Green mountain) - the contrast of the mountain with the fields of roses is breathtaking. When in the mountains, accommodation options are limited. If the weather allows and you’re feeling brave, camping is a good option. You’ll be enjoying an amazing starry sky free from all light pollution. 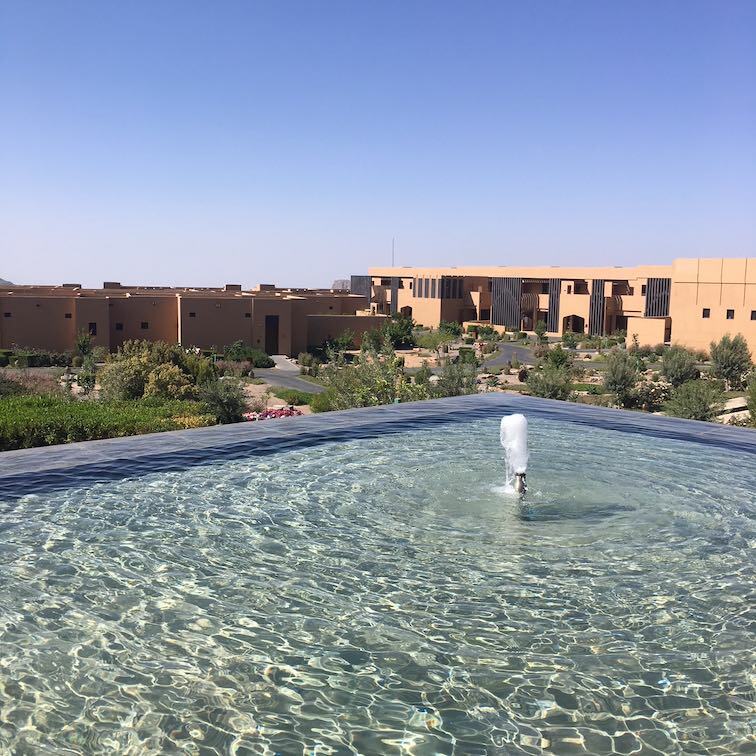 If you want to treat yourself (I did to be honest) the Anantara and Alila resorts not only offer amazing views but also pools that will make you forget the 40 degree midday heat. Rent a 4x4. It will allow you to get to the most remote (and beautiful) places.